Michigan influenza cases and cold-like symptoms have increased substantially the past two weeks, leading state health officials last week to declare a “widespread activity” alert in most counties. But emergency room and urgent care doctors say the worst is still to come as the flu season is just cranking up and the cold weather descends upon Michigan and the Midwest and people gather together for Super Bowl parties and spread virus infections. In Michigan, the proportion of outpatient medical visits due to flu or flu-like illnesses increased to 2.1 percent last week, compared with the regional baseline of 1.8 percent. Since the beginning of flu season on Oct. 1, there have been 191, including 26 pediatric and 165 adult, influenza-related hospitalizations reported, the Michigan Department of Health and Human Services reported. “We are just getting started, just ramping up. The next three to four weeks we will peak and approach 4 to 5 percent,” said Sanford Vieder, D.O., medical director of Lakes Urgent Center in Livonia and West Bloomfield Township. 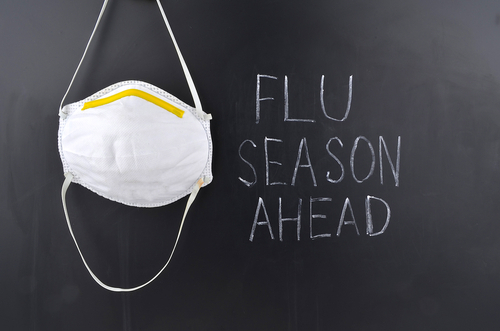 Symptoms of the flu include fever, cough, sore throat, aches of all types, a runny or stuffy nose and fatigue. Other symptoms could include nausea and diarrhea.